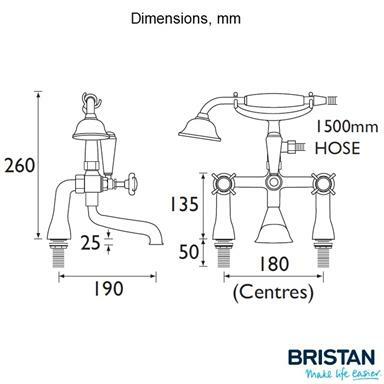 BRISTAN Manufacturer's Product Code: N BSM CCD. 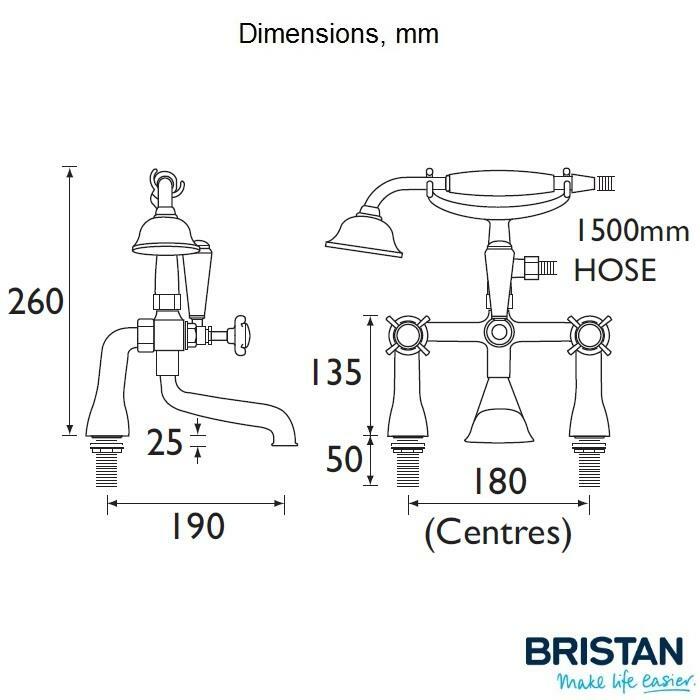 The Bristan 1901 Deck Mounted Traditional Crosshead Bath/Shower Mixer with Shower Handset and Outlet Lever/Diverter, White/Chrome plated. - Valve Type: 3/4" standard valves. - Inlet Connections: 2 x 3/4" BSP threaded tails. - Water Pressure, Min/Max: 0.2/8.0 bar. 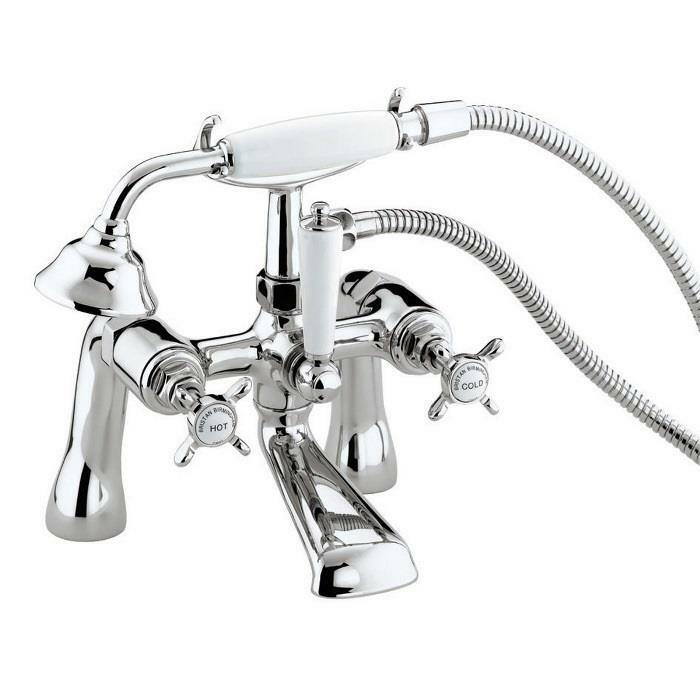 - Supplied with 1.5m shower hose and single function shower handset. - Diverter for switching between outlets (mixer/shower handset). - Supplied with metal crossheads/handles. - Finish: White (handset handle, diverter lever); Chrome plated to BS EN 248.